(i) To promote, social, publishing and other activities for the benefit of the members of the Club. (ii) To bring together people interested in supporting health charities. (iii) From all or some of the foregoing activities, to give funds to and otherwise support the charitable purposes of health charities and the purposes of members’ community organisations and projects, or exceptionally of other charities. For the purposes of Clauses (ii) and (iii) above health charities are deemed to include, but not be limited to, charities involved in one or more of: medical research, supporting patients and/or their families and training medical and/or other staff engaged in these activities. 2 (i) The Club is a proprietary club the proprietor of which is Newhall Publishing Ltd (“Newhall”) and the Board of Newhall exercise the powers of Proprietor under this constitution. (ii) Newhall will provide the Club with all reasonable necessities for carrying on the Club in accordance with its objects and Rules. 3 The Club shall be managed by a general committee, charged with the general management of the affairs of the Club in all matters not reserved for the Club in General Meeting. (i) no less than 2 or more than 8 nominated members. (ii) up to 4 elected members. The nominated members shall be appointed by the Proprietor. The term of office of each and any one of them shall be determined by the Proprietor from time to time. The Proprietor shall designate one of the nominated members as the Proprietor’s representative and this nominated member shall chair the Committee and exercise the powers of chairman under this constitution. The elected members shall be elected under clause 5 and hold office under the provisions of the clause. The quorum of the General Committee is three. 5 (i) The elected members of the General Committee shall be elected annually at the Annual General Meeting. They shall hold office until the Annual General Meeting following their election and shall be eligible for re-election. (ii) Any ordinary member of the Club may nominate or propose any other ordinary member for election to the General Committee. 6. (i) A person whose application for membership of the Club is approved by the General Committee or by a sub-committee of the General Committee may become an ordinary member of the Club. (ii) The General Committee has power to decide the level of the membership fee from time to time and may decide to have different amounts in different circumstances. (iii) The General Committee may admit honorary members to the Club, but there shall not be more than five honorary members at any one time. An honorary member shall not be required to pay the membership fee. (iv) Nominated members of the General Committee shall be ex officio members of the Club but will not pay the membership fee or obtain any benefits from membership of the Club other than the right to vote at a General Meeting. (ii) if a member resigns from membership of the Club at any time and in such a case membership shall be deemed to cease at midnight Greenwich Mean Time (“GMT”) on the day on which notice of resignation (which need not be in any prescribed form) is received by the Club or by Newhall on behalf of the Club. 8 (i) The General Committee shall have the right in their absolute discretion to cancel the membership of any person at any time, and the Chairman has the power to act on behalf of the General Committee in these respects. Cancellation takes effect at midnight GMT at the end of the day on which the determination by the General Committee or Chairman is made, and entitlement to benefits ceases at the moment of cancellation. Where membership is cancelled the General Committee may consider refunding all or a proportion of the membership fee. Where cancellation is made by the Chairman, the Chairman shall inform the General Committee at the next Committee meeting and the General Committee shall have the power to reinstate membership from midnight GMT at the end of the day of that meeting. (ii) The General Committee shall have the power to authorise individuals to sign contracts and enter into other commitments on behalf of the Club. (iii) The General Committee shall have the power to dissolve the Club either wholly or in part. Partial dissolution will occur if, for example but not limited to a like example, the General Committee resolves that the Club shall cease whether permanently or temporarily to be active in a particular country or geographical area. In the case of a total or partial dissolution, all rights of Club members affected by such a dissolution shall absolutely determine at midnight GMT at the end of the day on which the General Committee makes the resolution unless the General Committee with the prior written consent of the Proprietor shall resolve otherwise. 9 (i) An Annual General Meeting shall be held in every year and there shall be not more than fifteen months between one Annual General Meeting and the next. 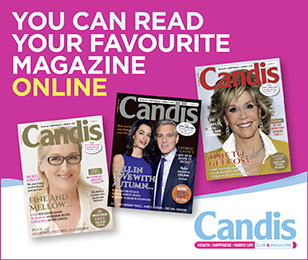 Notice of the Annual General Meeting shall be given in Candis Magazine in the issue bearing the calendar month prior to the month in which the Annual General Meeting is to be held, or in any of the three previous issues of Candis magazine. (ii) A General Meeting of the Club may be summoned at any time on fourteen days notice by the General Committee. Notice for such a meeting shall where reasonably practical be given in Candis Magazine in the issue bearing the calendar month prior to the month in which the General Meeting is to be held, or in any of the three previous issues of Candis Magazine, and where this is not reasonably practical (having regard to the publication schedules of Candis Magazine) shall be given in The Times newspaper or in such national newspaper or newspapers as the General Committee shall determine. (iii) In General Meeting voting shall be confined to ordinary and honorary members of the Club and every member of the Club present at the meeting shall have one vote save for the Chair who shall have a second and casting vote. (iv) The quorum of a General Meeting of the Club shall be 3. 10 The General Committee shall approve and then present at every Annual General Meeting an audited report and statement concerning the finances of the Club for the preceding year. 11 Every member shall, subject to the bylaws from the time being in force, be entitled to use and enjoy in common with the other members any amenities or services provided from time to time by the General Committee. 12 The General Committee may from time to time make, vary and revoke bylaws (not inconsistent with the Constitution) for the regulation of the internal affairs of the Club and the conduct of members; and the bylaws in force from time to time shall be binding on members. 13 This Constitution may be revoked, added to or altered by a majority comprising two thirds or more of the members present and voting at a General Meeting of the Club of which notice has been duly given under clause 9 specifying in general terms and intention to propose a revocation, addition or alteration but shall be subject to any veto thereof at any time by the Proprietor.